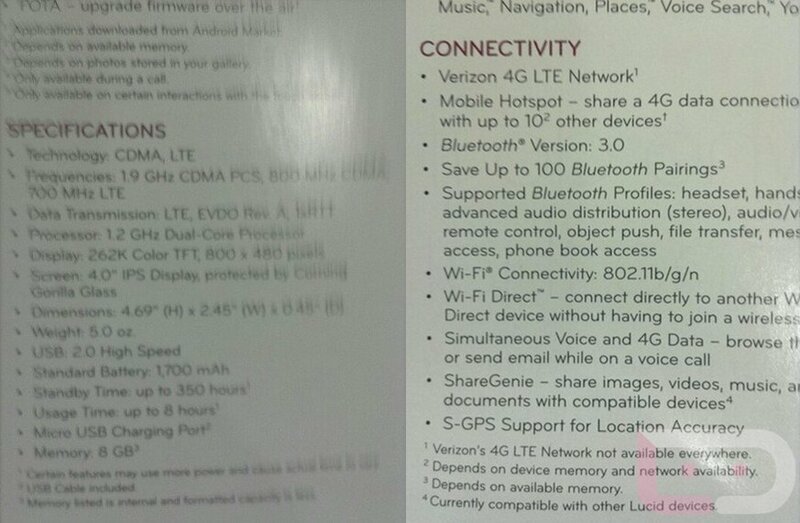 The LG Lucid 4G (formerly the Cayman) is one of Verizon’s next 4G LTE phones, unfortunately for spec fiends, this one falls in the middle tier. Our sources have pegged this launching as early as next Thursday, March 29, somewhere in the below-$200 range. It will sport a 1.2GHz dual-core processor, 4″ IPS display with Gorilla Glass (800×480), Android 2.3, 1700mAh battery, and 8GB internal storage. 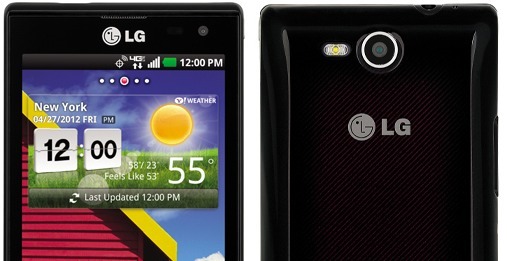 Nothing here that will blow your mind – that may not happen until we see the DROID Fighter or if the Galaxy SIII ever comes to Verizon.